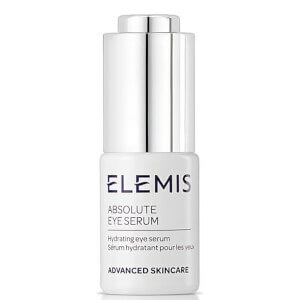 Thanks to this highly efficient product, you'll be able to get rid of the puffiness around your eyes in no time! Featuring ingredients such as Padina Pavonica, which makes your skin firm whilst removing fine lines and wrinkles, your skin will look much younger than before. 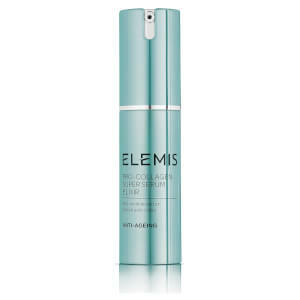 Amino Acids will moisturise the skin and protect it from environmental aggressors. Incredibly easy to use, just two drops a day will ensure a long-lasting elasticity. Using this product will enable you to reach a level of confidence that is hard to outmatch. Aqua/Water/Eau, Propylene Glycol, Glycerin, Phenoxyethanol, Oryza Sativa (Rice) Hull Powder, Ammonium Acryloyldimethyltaurate/VP Copolymer, Sclerotium Gum, Disodium EDTA, Sodium PCA, Sodium Lactate, Simmondsia Chinensis (Jojoba) Seed Oil, Arginine, Tromethamine, Aspartic Acid, Hydrolyzed Wheat Protein, PCA, Aesculus Hippocastanum (Horse Chesnut) Seed Extract, Centaurea Cyanus Flower Extract, Linum Usitatissimum (Linseed) Seed Extract, Plantago Ovata Seed Extract, Sodium Hyaluronate, Glycine, Alanine, Caramel, Iodopropynyl Butylcarbamate, Serine, Linalool, Valine, Aniba Rosaeodora (Rosewood) Wood Oil, Anthemis Nobilis Flower Oil, Isoleucine, Lavandula Angustifolia (Lavender) Oil, Lavandula Hybrida Oil, Osmanthus Fragrans Flower Extract, Proline, Threonine, Histidine, Phenylalanine, Padina Pavonica Thallus Extract. Light composition, use it a little bit but I like it a lot! 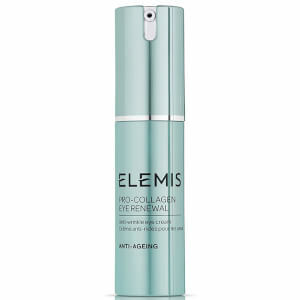 I've used this for yonks & have very few lines/wrinkles. Will use it forever! This is my favorite eye treatment.I can't be without this product. The eye treatment is good and moisturing. Love this eye treatment. Very noticable improvement in fine lines. So much so I have just ordered extra while 3 for2 offer on. I'm not sure about its effectiveness as I just started using it... but if it gets into my eyes its quiet burning unlike other eye products I have used before.. hopefully it would work!